AffiliateFEST established in 2015 was developed to support revenue growth by providing detailed digital learnings for iGaming Affiliates. 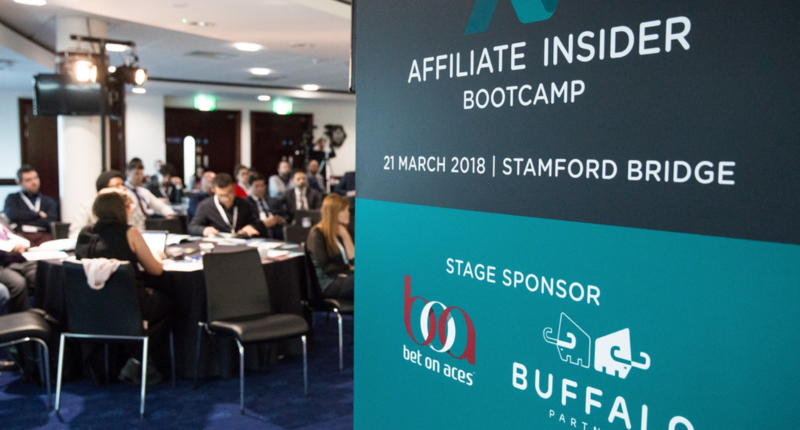 Taking place in London at the Hilton Olympia on Wednesday 19th September, AffiliateFEST will run alongside the Betting on Sports conference this year, therefore doubling your sponsorship value and delegate exposure. As part of the 1 Day training programme, Affiliates and Operators will learn the latest digital trends from industry experts covering a range of iGaming sectors from sports to bingo. We also investigate the regulatory and advertising updates for best practice and compliance in the year ahead. Affiliates can attend FREE so register to secure your seat now. Operators, suppliers, and networks can arrange access via our exclusive sponsorship packages which offer fantastic value and provide an abundance of choice. Network with affiliates who are serious about their business and build meaningful relationships at this event to help your revenue grow. To find out more about this exclusive event please contact our Sales Team : Sales@affiliateinsider.com for more information.